If using Adhesive Sheets, apply to your pattern paper (or book note pages). 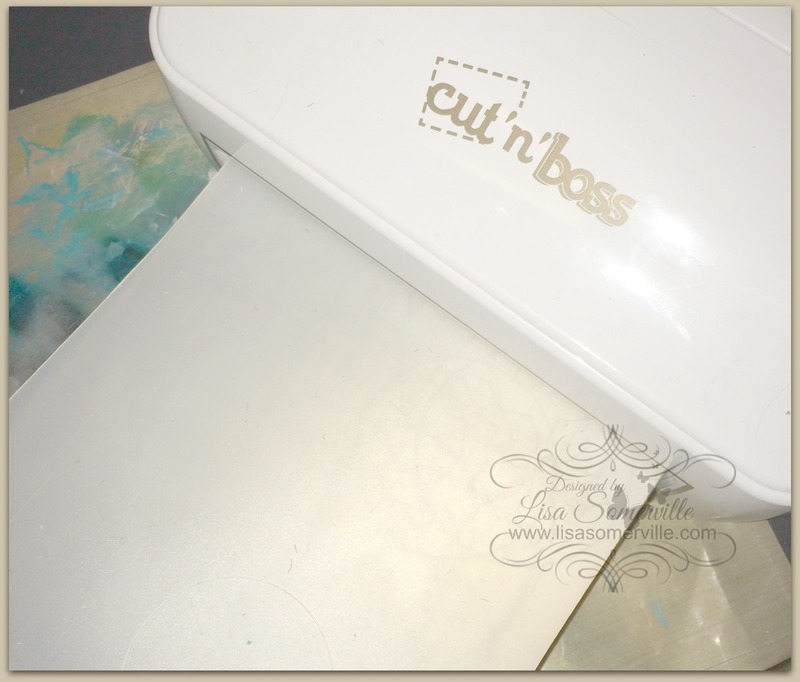 Using the Cut'n'Boss, die cut and emboss dies from pattern paper or book note pages. 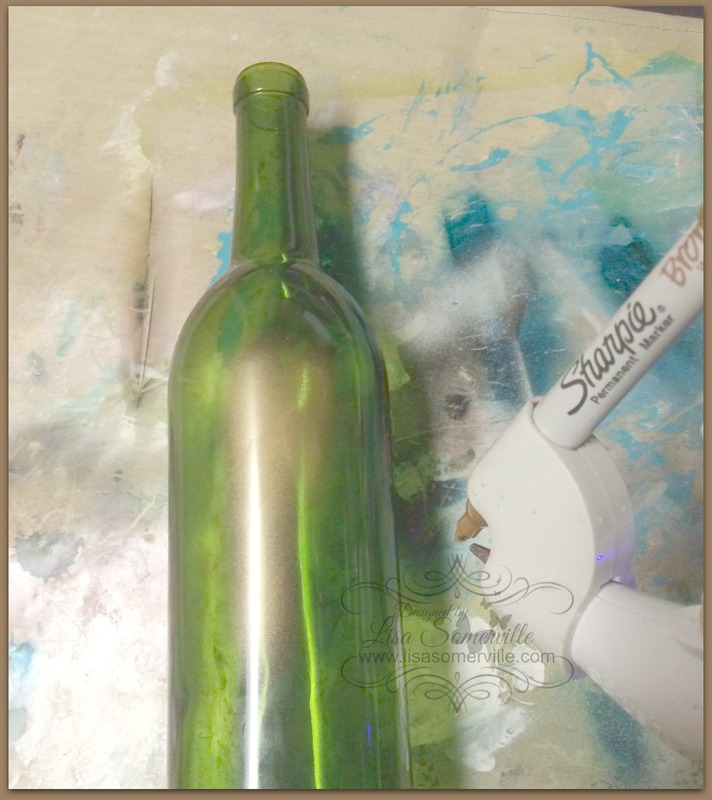 Use the eBrush and Metallic Markers to add color to the wine bottle. 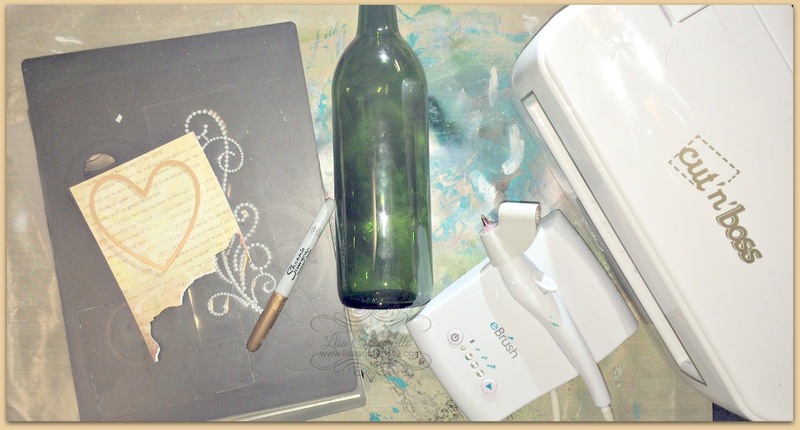 You'll need several coats, so make sure your Markers are fresh. I wanted a vintage feel to my finished bottle, so it didn't bother me that there were a few drips or lightly sprayed areas, as it adds character to the finished piece. Let dry completely. 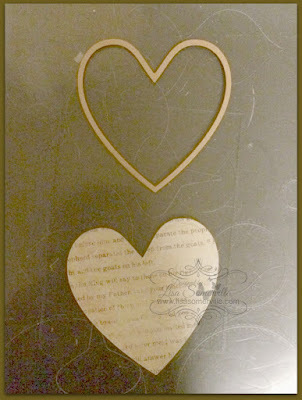 Embellish and decorate as desired. Oh so elegant! Could see a wedding with these as centerpieces! Happy New Year! 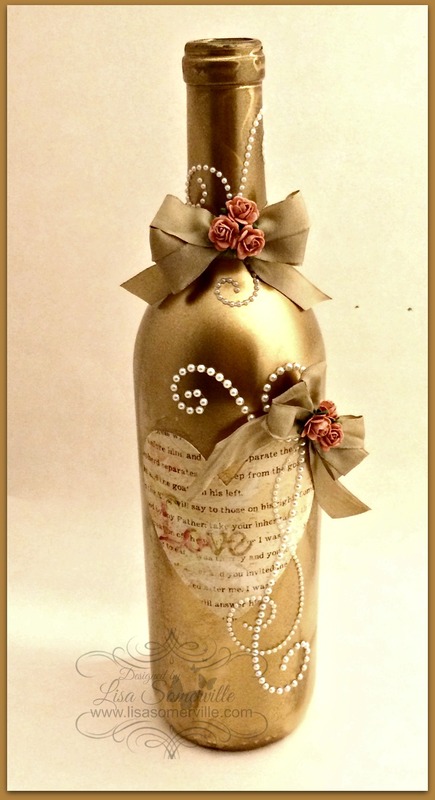 Gorgeous bottle!!!!! I love this!!!! Happy New Year to you and your family!!! Just beautiful! 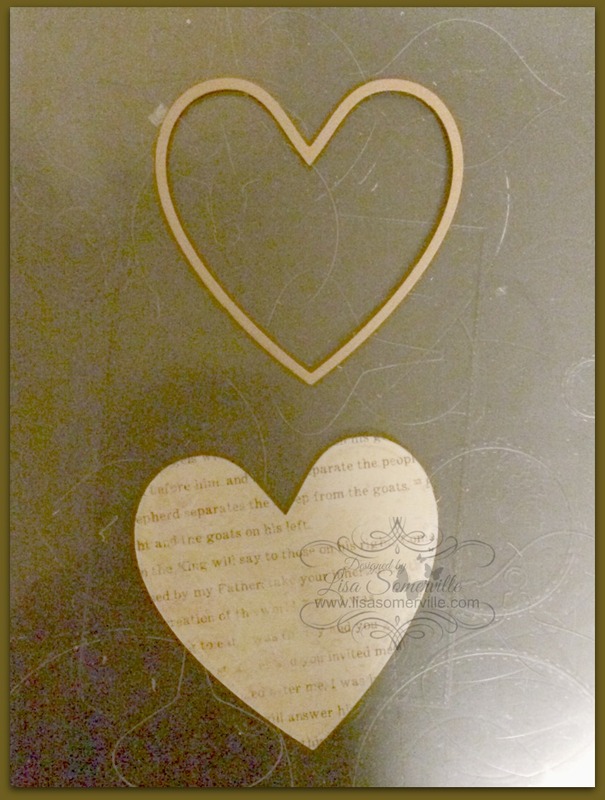 I love this pretty idea- very elegant upcycle project! These would be awesome centerpieces!! So beautiful! !